Good morning everyone!! I wanted to post a great Valentines dinner recipe today, but the one I tried out over the weekend was not really that great, so I’m just going to post my own recipe for today. I wanted to create a recipe that included a melted Dove milk chocolate center, cause I love Dove chocolates. 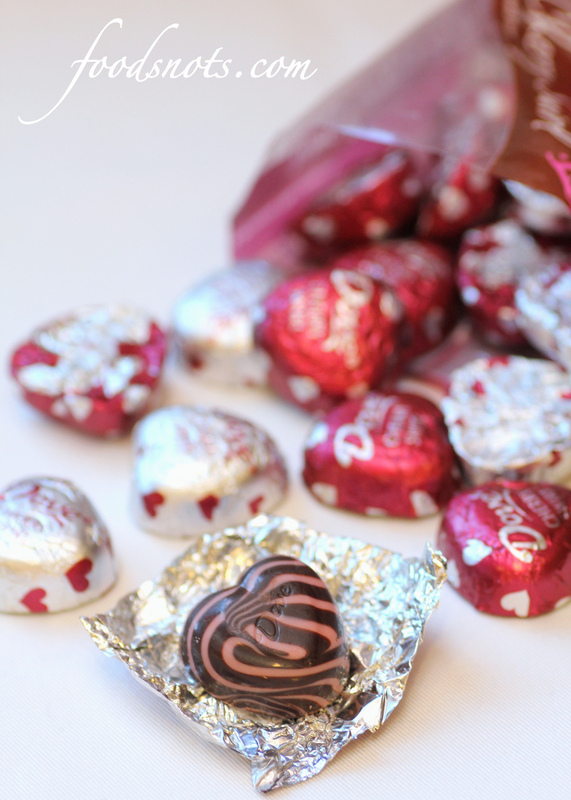 Usually I would get the milk chocolates, but decided to try these Dove Dark Chocolate & Cherry Swirl Hearts cause they look really festive, but I would not recommend unless you have tried these and love them. It’s not that they aren’t good, but just not my taste, so stick to the milk chocolate hearts. But the end result turned out so much better then I had hoped!! 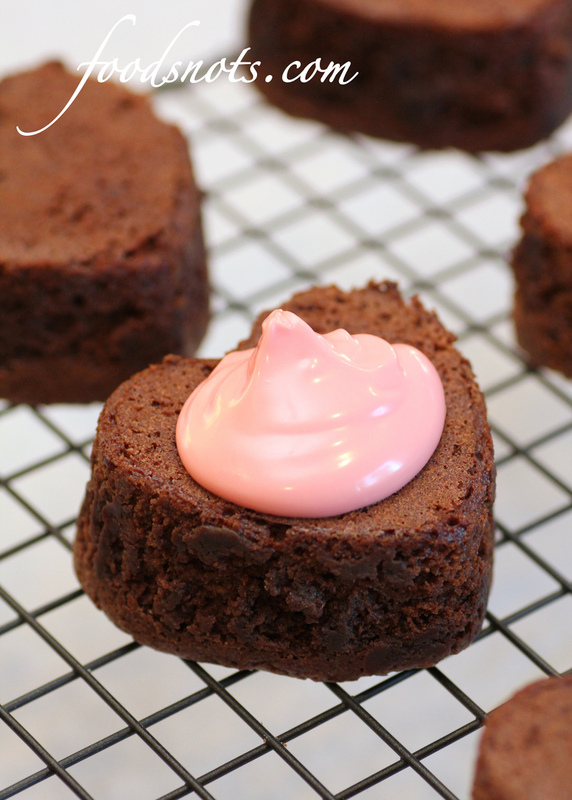 A melted chocolate center, moist brownie, and a layer of firm pink chocolate on top with a little crunch from the sprinkles. All together, it turned out amazing! Hope you like it 🙂 Enjoy!! 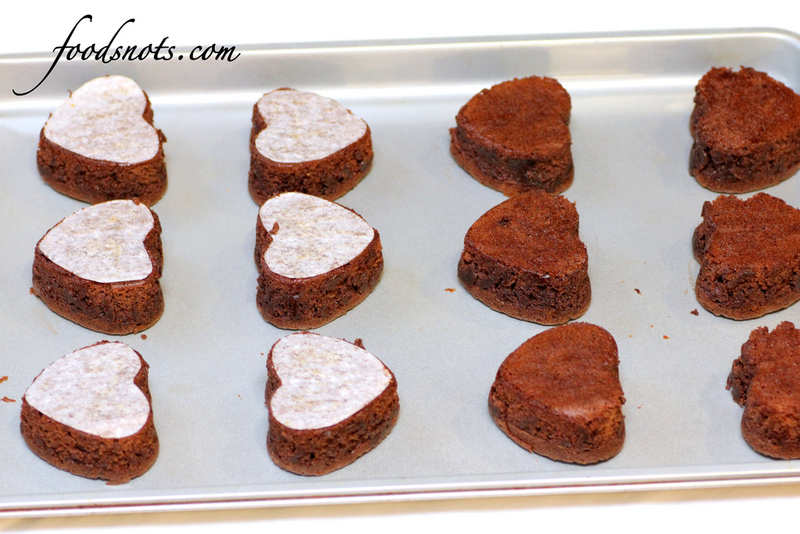 Preheat oven to 350 degrees F. Line the bottom of each heart cup with parchment paper. This is optional, but will make your life a lot easier when it is time to get these puppies out. In a heatproof bowl, melt butter and chocolate chips in the microwave. Stir every 30 seconds until smooth. Cool slightly. 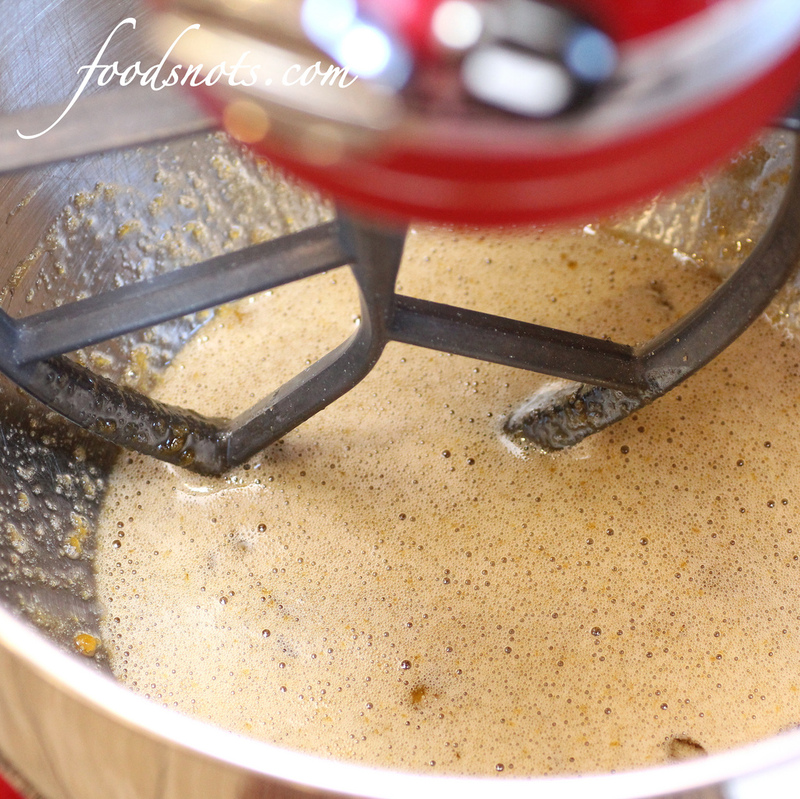 In a large bowl beat eggs, brown sugar, and vegetable oil. Add melted chocolate. Mix well. Combine flour and baking powder; stir into chocolate mixture. Scoop about 2 tablespoons into each heart cup. 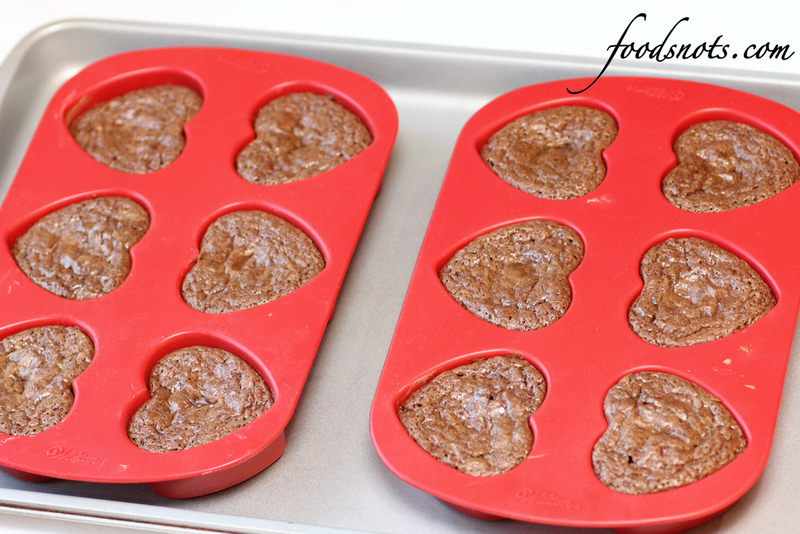 Place 1 Dove piece into the middle of each heart cup and press down slightly into brownie batter. 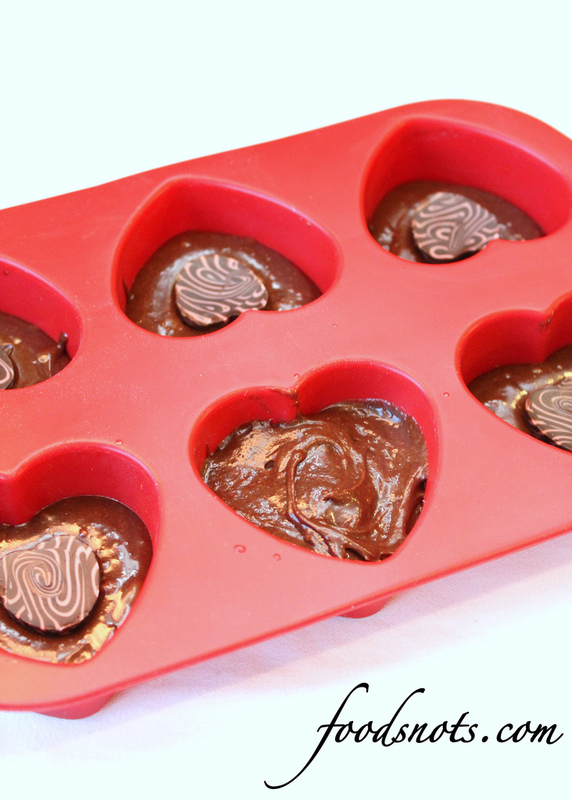 Cover chocolate with an additional tablespoon of batter. Bake for 20 minutes. Let cool for 5 minutes inside of cups, and then turn out onto a wire rack and let cool for another 15 to 20 minutes. Remove parchment paper after un-cupping, but leave brownies upside down. This is the side you will be decorating. … stirring every 30 seconds until smooth. 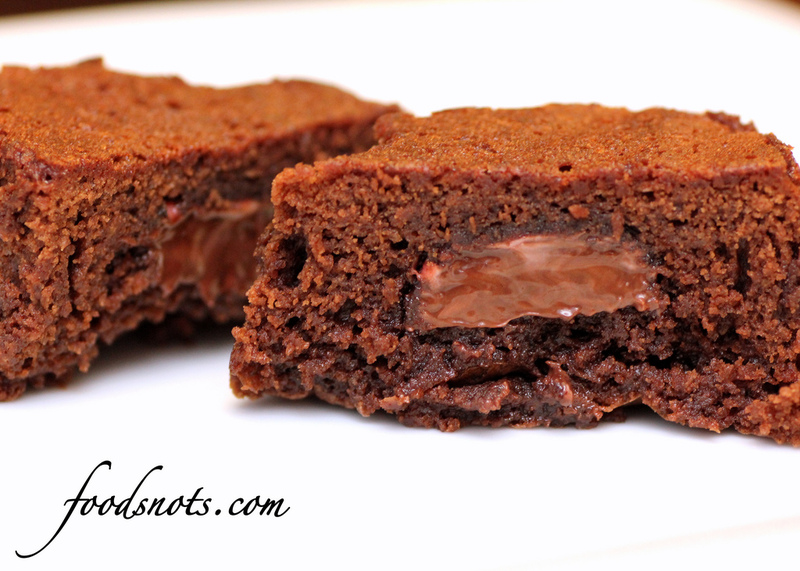 Place a large spoonful of melted chocolate on over each brownie. 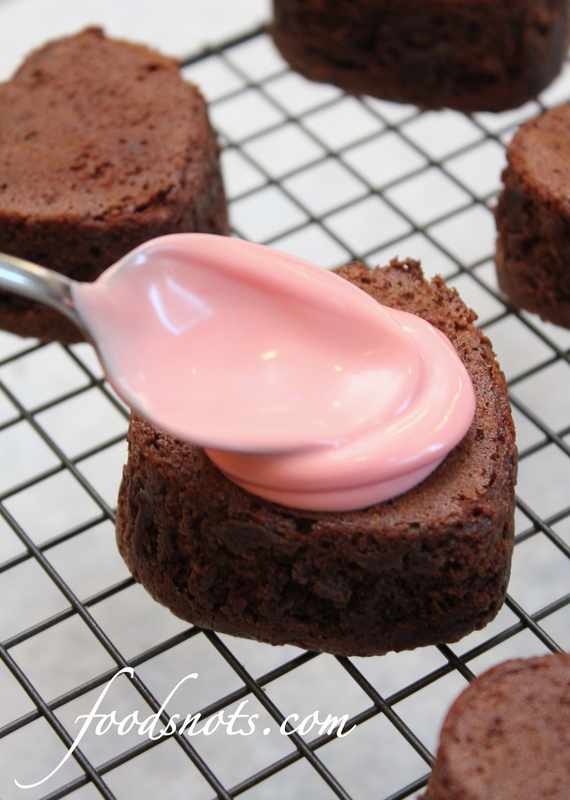 Use the bottom side of the spoon to spread chocolate out over the brownie. Allow chocolate to drip over the edge. 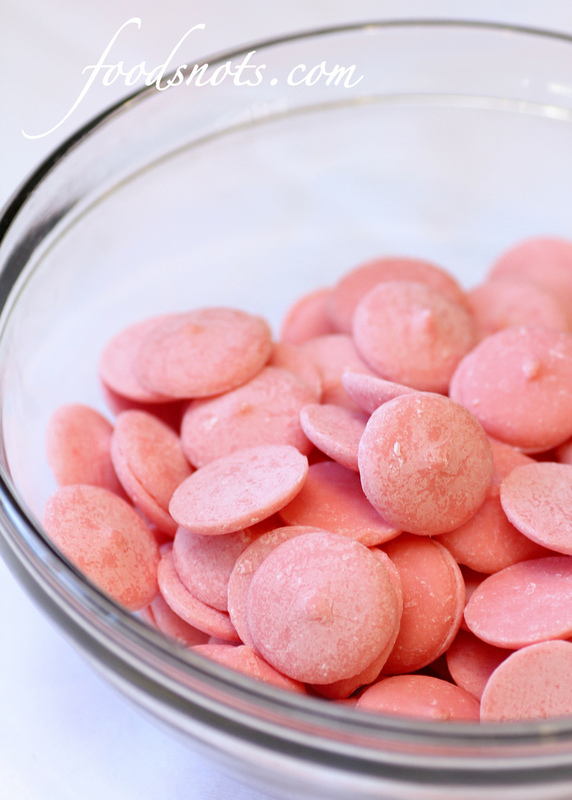 Immediately add sprinkles after you got the chocolate the way you want it. You can either serve immediately with gooey melted chocolate, or let stand for about 10 to 20 minutes until chocolate hardens to give you brownies a crunchy firm exterior.